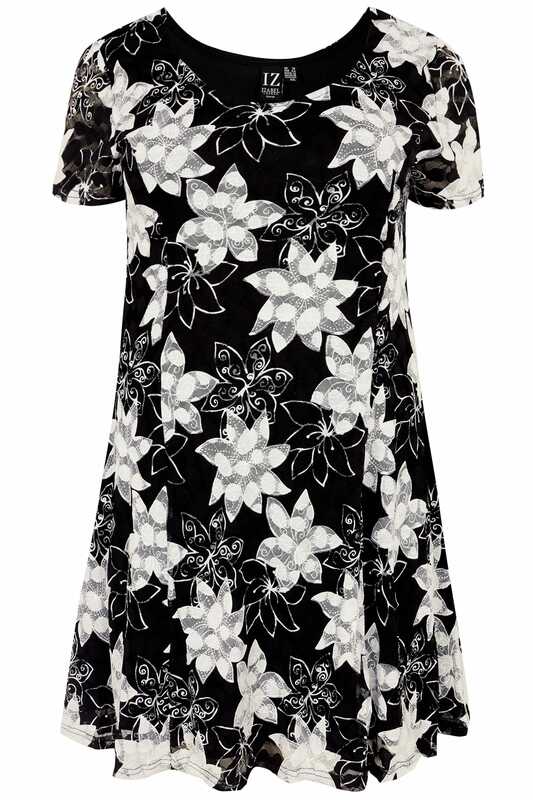 Bring a fresh new print to your wardrobe with this abstract floral tunic dress from Izabel Curve. 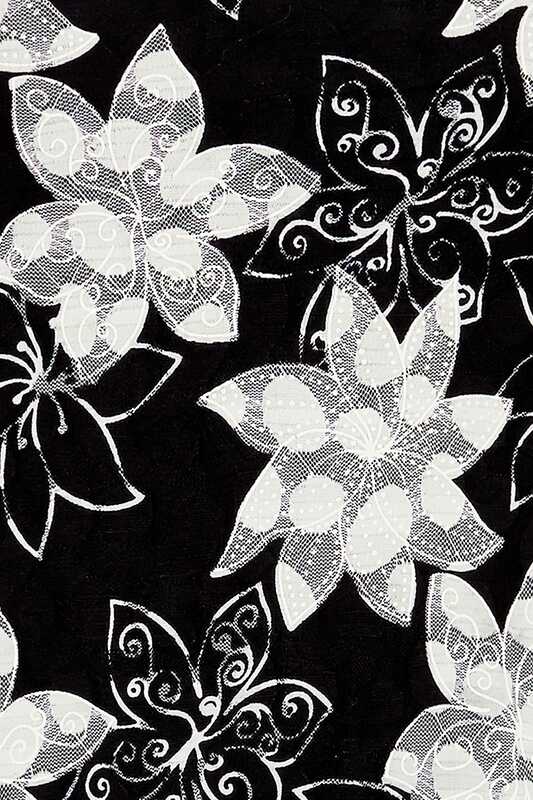 Modern and stylish, it features a slinky jersey lining with an intricately printed mesh overlay. 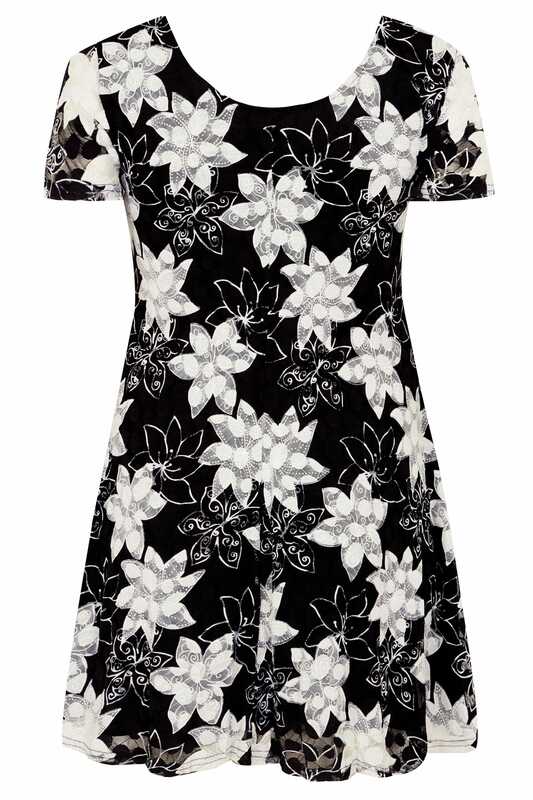 Chic and casual, wear it with leggings and pumps for instantly refreshing look. Stretchy fabric makes this one comfy number.